Root-knot nematodes are economically important plant pathogens that cause considerable damage to agricultural crops worldwide. They secrete a range of effector proteins from their specialized gland cells to modify host cell physiology to favour parasitism of the host tissue. A deeper understanding of the roles of effectors in nematode parasitism is necessary to unravel the mysteries of plant–nematode interactions. Herein, mRNAs of Mi-msp-1 (or Mi-vap-1), a gene encoding venom allergen-like effector protein, was localized to the subventral esophageal glands of Meloidogyne incognita. Mi-msp-1 was highly transcribed in the pre- and post-parasitic juveniles of M. incognita, suggesting the association of this effector gene during early stage infection behaviour of nematode. The targeted knockdown of Mi-msp-1 using in vitro RNAi rendered the nematode less successful in penetrating the tomato root. Silencing of Mi-msp-1 also interfered with the development and reproduction of M. incognita in adzuki bean. 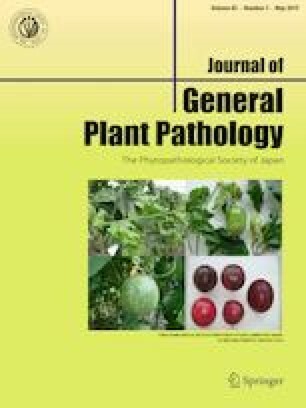 Intriguingly, induced suppression of Mi-msp-1 significantly altered the transcription of cell-wall-modifying enzymes (CWMEs, effectors involved in early parasitic process) and vice versa in M. incognita, indicating a possible interaction among msp-1 and CWMEs during the early stage of nematode–plant interaction. Our results showed that Mi-msp-1 could be a potential target/choke point for developing anti-nematode strategies. The online version of this article ( https://doi.org/10.1007/s10327-019-00837-x) contains supplementary material, which is available to authorized users. Ph.D. student SC acknowledges her co-advisor Dr. Vishakha Raina, School of Biotechnology, KIIT, Bhubaneswar, India.